Where would we be without fantasy, magic and a love of mythical creatures? Slots developers obviously think the same if the latest magic-filled online games are anything to go by. Gamesys's Fortuna the Dragon is similar to their fairytale-themed Spinning for Gold slot but with some nice added animated touches. 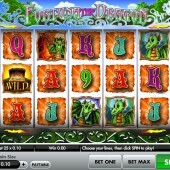 A full 25-payline slot played over five reels, Fortuna the Dragon features all manner of mythical beasts on the reels. There are three Dragon symbols (Dracco the big red beast plus the baby Fortuna in a variety of poses) with the two of them together paying out a 1,000-coin jackpot. As well as a treasure chest - here acting as the Wild and subbing for all regular symbols except the Scatters - there are some generic 9-to-Ace symbols making up the numbers plus a Fortuna the Dragon game logo. The Scattered logo pays anywhere, but it won't trigger any bonus games. Here's where the game gets exciting. After every spin one of four bonus rounds will trigger at random, kicking off with five free spins. Get Your Hands On a 100x Multiplier! First up, the Dragon Love feature sees any Dragon icons turn into the highest paid Dragon symbol (in this case the two dragons together in one picture) for the duration. Fortuna Fortunes sees every winning free spin multiplied by a random multiplier between 1 and 100. The Wild Fire feature sees our little Fortuna pal fly on-screen to breathe flaming Wilds across the reels. This is a nice little bonus that can lead to some lovely cash wins. Finally, the Wild Fire Reel sees Fortuna blow flaming Wilds across an entire reel. Free games can be re-triggered at random as well. 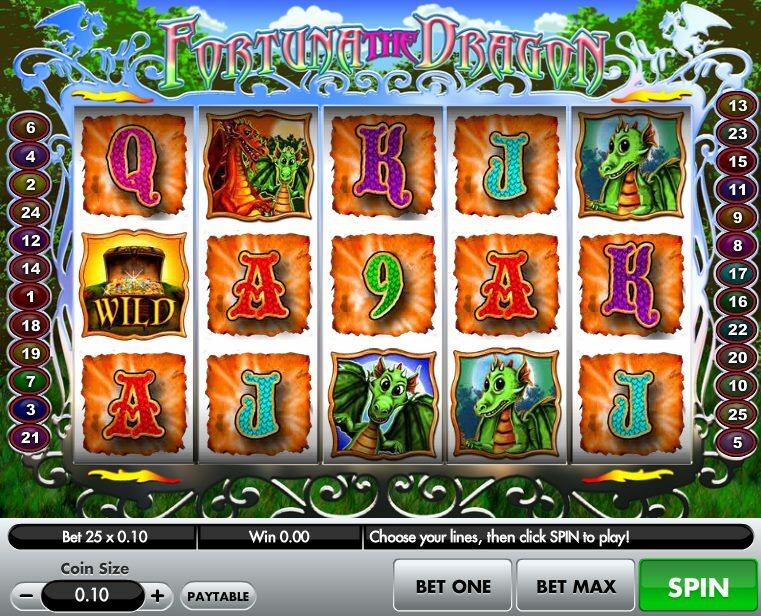 Fortuna the Dragon is a nice-looking slot with some neat gameplay and lovely looking graphics. You really have to hit the random free spins a lot to benefit but even a few random spins can lead to nice bonus wins. If you're after some more fantasy and dragon action, check out the NextGen Gaming slot release Dragon Drop, while the Gamesys-developed gold-themed Pirate's Plunder slot is good for some quick fun.